is enviably located at 853 Hyperion Avenue between the legendary Sunset Junction and the emerging Virgil Village. sunset views of the Hollywood Sign, The Griffith Observatory and surrounding Silver Lake hillsides. 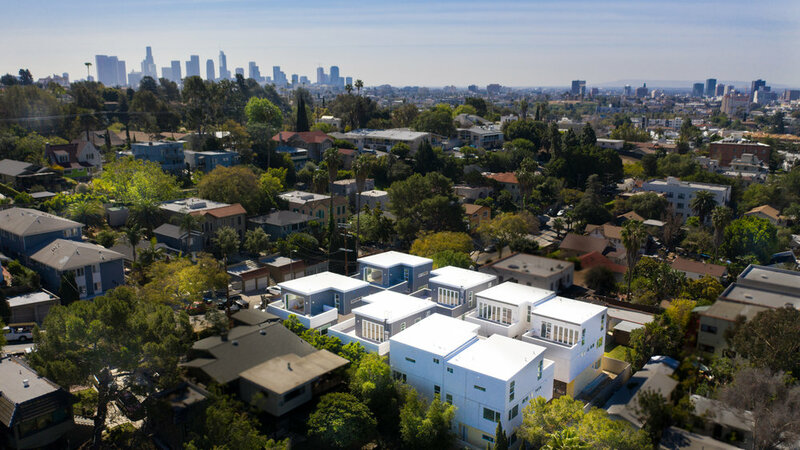 Silver Lake's newest community is centrally located near all of the neighborhood's amazing restaurants, coffee shops, pubs and retail establishments. The community has a rich history and a unique, distinctive culture. Live nestled between natural beauty and gorgeous mountains, large open parks and two beautiful reservoirs to enjoy during your morning jog. Find a close-knit community hidden within the vast City of Los Angeles. Join our interest list for more information on Hyperion Silver Lake! RC Homes believes a great home starts with designing great floor plans, that embrace the nature of your unique location and lifestyle. We are committed to supporting excellent design with high-quality construction methods. Your home will bring you warmth, comfort and flexibility to meet your family’s needs, while preserving the investment in your future.